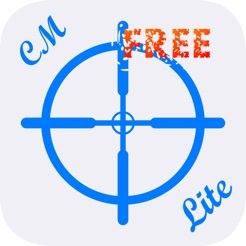 CamMeasure is the iPhone-app with highest performance by measuring height (Lite Version), width, distances and areas. It is a must have for every tradesman, handyman, architects, constructor, booth builder, landscape gardener and any technical interested person. You are able to measure in between seconds by using one of the six measuring procedures. 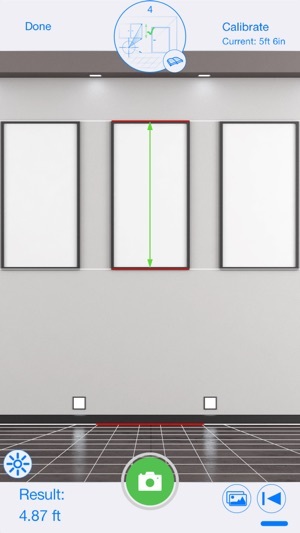 The results are going to be displayed directly within the camera view. You can save it as a picture. Within a few minutes you are able to measure complete rooms and manage your projects by using the integrated database for pictures. All functions and measuring procedures are explained by interactive videos. 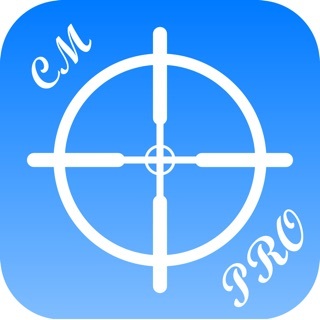 CamMeasure HI and MI (PRO ONLY!) has been developed to reach significant improvements of the measurements. Those calibration functions adapt the app to your individual measuring procedure. 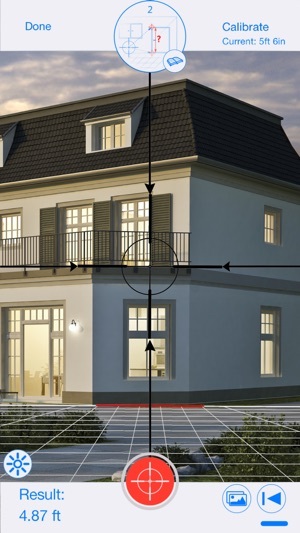 If CamMeasure is calibrated correctly and the measuring procedure is followed you are able to reach a tolerance of only 3% with CamMeasure Pro. Are you standing, are you sitting? 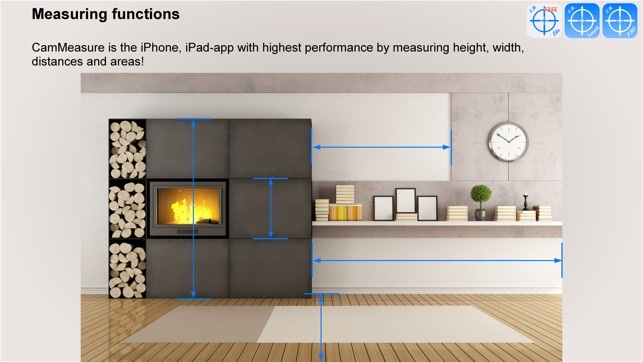 Just calibrate the current height of your device with this comfortable function or choose one of the saved heights. Manufacturing differences within different device are be balanced. 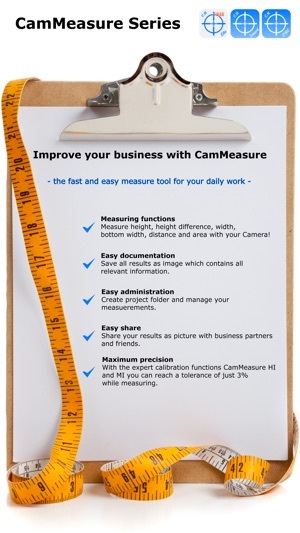 CamMeasure MI is teaching by using a predefined measuring procedure your individual measuring behaviour. 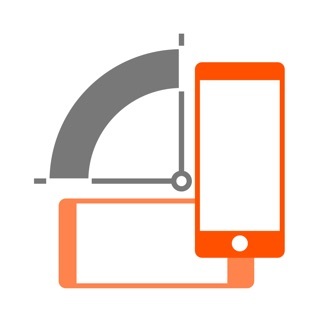 Throughout this you can move your device without any restrictions while you are measuring. Save your measurments within a structured gallery within different projects. 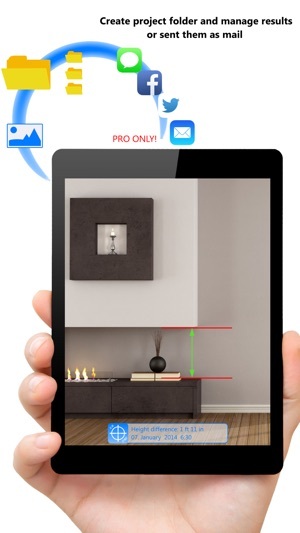 Intuitive usage, measuring a particular object and the measurement will be drawn directly in the picture. 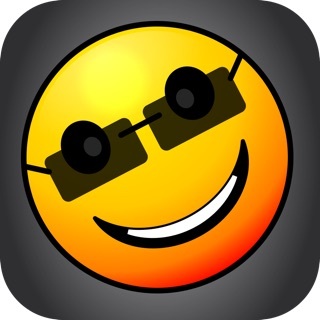 Yes folks this app actually works as advertised. Can't beat the price either.